Heavy and abrasive, HISSING’s music actually sounds like hissing. This album is one, long hiss. 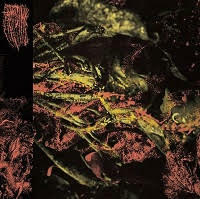 It’s well done, having a nice balance of technicality and experimentation drenched in a blackened atmosphere. HISSING is a band from Seattle, Washington and sound like HATE ETERNAL and BEHEMOTH had a child. Ever since forming in 2014, they have yet to put out a full-length until this year. Blackened Death Metal is like Doom Metal. It can either be normally composed with three to four-minute songs, or the compositions can be drawn out to seven or more minutes. HISSING do a combination of both, ranging from three to eight minutes. This album is only six tracks long, so despite the intimidating song lengths, it’s not hard to swallow. The album is full of dark themes with technical and fast riffage being balanced out with slow, atmospheric passages. The final product seems to be on the same page as experimental bands like PORTAL. One thing that is nice about this album is the structure. The last two songs are definitely my favorites. The eight-minute epic “Perdurance” is full of interesting riffs and atmospheres that wrap around your brain. However, if it wasn’t for the obnoxiously long outro, this song would have been a lot better. “Cascading Failures” has a destructively massive breakdown that was quite unexpected (but very welcome) from this band. The first track, “Backwards Descent,” is also a highlight because of its angry, abrasive riffs that help set the tone for the entire album. Production-wise, this album is more Black Metal than it is Death Metal, meaning that is was probably recorded on a Magic Mic toy. In other words, it’s pretty shoddy. However, it fits the tone of the album, so it’s not like I’m going to deduct points for poor production quality. Overall, HISSING released a pretty good album. It was better than I expected, as I usually get bored by acts like this. HISSING know how to keep things interesting and entertaining with their experimentation and angry riffing style.